M3.2 6.4 10. M3.2 10 10. M3.2 12 10. M3.2 16 10. Material: Aluminum. Size (mm) Quantity (PCS). Model: Eyelet Hollow Tubular Rivets. 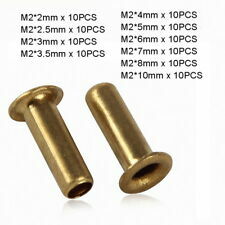 M2 2mm x 10PCS. M2 2.5mm x 10PCS. M2 10mm x 10PCS. M2 3mm x 10PCS. 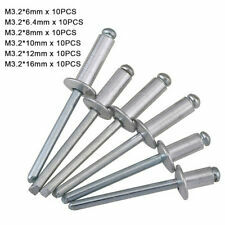 M2 3.5mm x 10PCS. M2 4mm x 10PCS. M2 5mm x 10PCS. 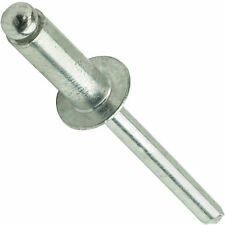 Model: Flat Head Knurling Rivets. Size (mm) Quantity (PCS). 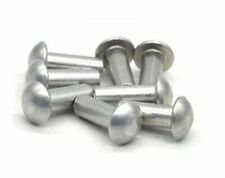 Product Name : Blind Rivet;Material : Aluminium;Type : Open End Design : Dome Head;Rivet Diameter : 4.8mm/ 3/16" Rivet Length : 16mm/0.63";Mandrel Diameter : 2.5mm/0.1" Overall Size : 48 x 9.5mm/1.9" x 0.37"(L*Max.D);Color : Silver Tone The rivet assembly is inserted into a hole drilled through the parts to be joined and a specially designed tool is used to draw the mandrel into the rivet.This expands the blind end of the rivet and then the mandrel snaps off.These types of blind rivets have non-locking mandrels and are sometimes avoided for critical structural joints because the mandrels may fall out, due to vibration or other reasons, leaving a hollow rivet that has a lower load-carrying capability than solid rivets.Grip Range:10.0 to 12.0mmThe blind rivets . Model: Eyelet Hollow Tubular Rivets. M6 12mm x 10PCS. M6 4mm x 10PCS. M6 5mm x 10PCS. 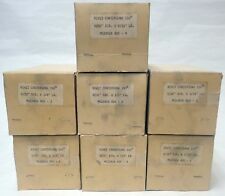 M6 6mm x 10PCS. M6 8mm x 10PCS. M6 10mm x 10PCS. Material: Brass. 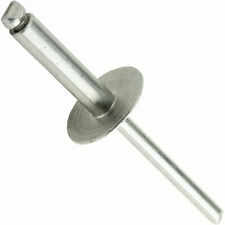 Model: Round Pan Head Knurling Rivets. M2 8mm x 10PCS. M2 4mm x 10PCS. M2 5mm x 10PCS. M2 6mm x 10PCS. Material: Copper. M2.4 10 10. M2.4 12 10. Material: Aluminum. Size (mm) Quantity (PCS). 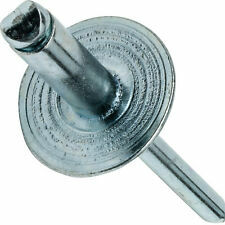 100 Piece Large Flange Aluminum Pop Rivet Big Dome Head Steel Post 3/16" x 3/4"
100 pcs. 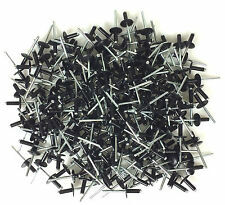 ALL STEEL 1/8" X 5/8" POP RIVET BRAND rivets.376 -.500 grip range NEW!